A Distributed Antenna System (DAS) typically consists of a group of antennas physically connected to a controller that is connected to the carrier macro cell. DAS will serve as a repeater to the nearest base transceiver stations (BTS) and extend its broad range of service to very narrow areas where there is a great demand in wireless services. DAS provides coverage when regular BTS is not a viable option. DAS is also a particularly useful solution for indoor coverage in which a given building may have many floors, underground or formed of steel structure, and/or other RF barriers. DAS also improve overall capacity and represent a complementary solution to other optimization technologies such as small cells and self-organizing networks (SON). 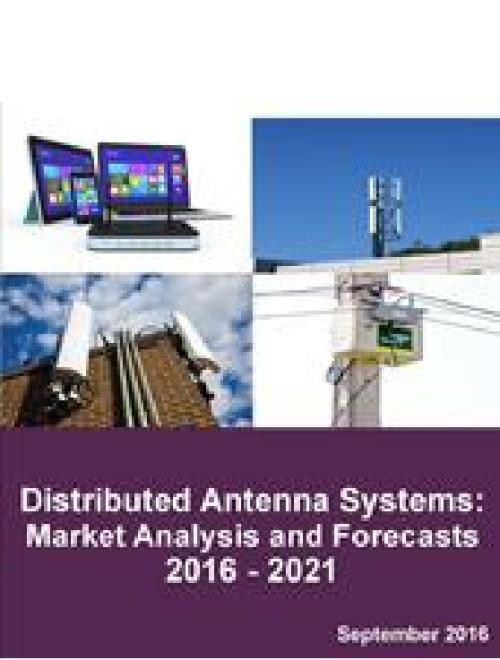 This research provides analysis of the DAS market, including carrier WiFi, small cells, and SON. The report evaluates leading companies in the DAS ecosystem and their solutions. The report also includes evaluation of market drivers, challenges, and provides forecasts for 2016 to 2021.